"Vermillion Pt. 2" is a continuation of Vermillion from their album Vol. 3 (The Subliminal Verses). One of my favorite albums of theirs. The differences between the two tracks are subtle. 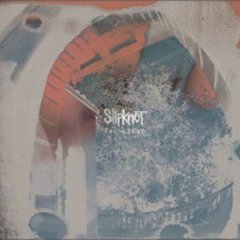 "Vermillion" is about the enrapturing, the buildup, the anticipation, and the neurosis, according to Corey Taylor, lead singer of Slipknot. While part 2 is about the aftermath, the pieces that have to be picked up later, and maybe the guilt of having lived through it. Over all, an intensely powerful track and music video.